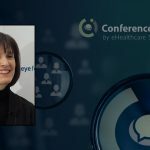 The Aurora Project, co-created in 2016 by Jill Donahue, author of EngageRx, and Paul Simms, Chairman of eyeforpharma, evolved from a passion to advance health outcomes and improve pharma’s reputation. This volunteer, non-profit group unites the industry’s focus on and path toward patient centricity. 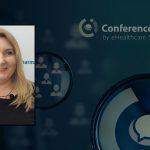 During eyeforpharma 2018, Donahue and Victoria Guyatt, Head of Patient Ethnography, Healthcare, IPSOS Healthcare, shared several of the project’s latest forward-moving results as the industry continues to embrace patient centricity. Like-minded executives striving to grow their business in patient-focused ways. Insights into additional projects that The Aurora Project is undertaking, including The Practical Guide and ShareSpire. A prevailing emphasis that pharma’s patient-focused missions are more important than ever. Overarching Insight from the 2nd Annual Aurora Project: 2017 Patient-Centric Benchmarks Survey. 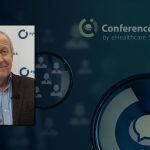 The survey drove home the fact that participants believe delivering on pharma’s patient-centered missions is important. The survey, which included more than 200 leaders from around the world, asked all participants how important it was that pharma, biotech, and medical device companies deliver on their patient-focused missions/visions. Nine in ten (91 percent) of the participants ranked the importance an 8 or more out of 10. However, when asked to rate their confidence in their companies’ ability to deliver on those mission/visions, only three in ten (30 percent) selected 8 or more out of 10. Using a set of 10 metrics, the survey asked participants the degree to which pharma is patient-centered. Across those 10 metrics, patients surveyed consistently rated pharma companies lower than participants who were employed by the biopharmaceutical and medical device industry. Seventy-six percent (76 percent) are confident that their company is making the world a better place. Eighty-one percent (81 percent) are proud to tell people outside the pharma industry that they work in pharma, biotech/medical device company. The survey revealed that 67 percent of those employed by the biopharmaceutical and medical device industry agree that patients’ trust would “slightly increase” or “significantly increase” if they secretly observed a typical day in their department. In a separate survey question, 36 percent of surveyed patients say that they have “quite a bit” or “a lot” of trust in the pharmaceutical industry overall. Seventy-three percent (73 percent) of surveyed patients agree that focusing on patients’ needs leads to better business outcomes. 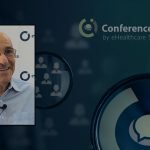 However, this need for a long-term scope is sometimes at odds with business realities, with fifty-three percent (53 percent) of those employed by the biopharmaceutical and medical device industry in the survey saying their companies are mostly concerned about results this quarter (9 percent) or this year (44 percent). 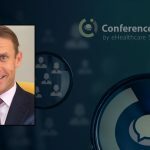 The survey was created to help biopharma and medical device companies as they transform their businesses from product centered to patient centered. A total of 1,282 participants chose to take part in the survey consisting of employees from biopharmaceutical and medical device companies (n=675), associated supplier companies (n=358), healthcare professionals (n=106), self-reported patients (n=70), and patient groups (n=73). 113 countries were represented in the sample. To download survey tables and explore additional results click here.